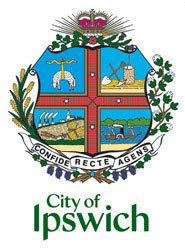 This design tells us a lot about the history of the town of Ipswich. The correct term for it is 'crest and arms'. Created by the Reverend Lacey H. Rumsey, Rector of St Paul's Church in 1861, the crest represents Ipswich's early industries as well as Australia's connection to Great Britain. The crest is the crown at the top. Near it are the rose, thistle and shamrock, which represent Britain (the rose is the national flower of England, the thistle represents Scotland and the shamrock Ireland). Note that Wales is not represented - although many Welsh miners came to Ipswich later, there were very few Welsh people here in the 1860s when the crest was designed. Under the crown is a shield divided into four parts or 'quarters'. The cross, which divides the shield into quarters, shows four stars, possibly the Southern Cross. The top left quarter shows a sheep - officially called the 'Golden Fleece with Ribbon'. The transport and trade in wool from the Darling Downs was an important industry in early Ipswich at that time. The top right quarter represents mining with a pick, shovel and coal bin. 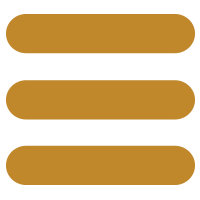 The bottom left quarter symbolises industry and agriculture. There is a factory with smoke coming out of the chimneys, a church to represent religion and a plough and a sheaf of wheat to represent farming. The bottom right shows a paddle steamer and reminds us that Ipswich was once an inland port with paddle steamers busy travelling between Ipswich and Brisbane. On the left of the shield is a sheaf of wheat, again representing farming. On the right is a branch of cotton in bloom, reminding us that in the 1860s, cotton was grown in Ipswich. The motto at the bottom is 'Confide Recte Agens' which means 'Be confident in doing right'. At the bottom of the crest are grapes and grape leaves. There were several vineyards around Ipswich at that time.